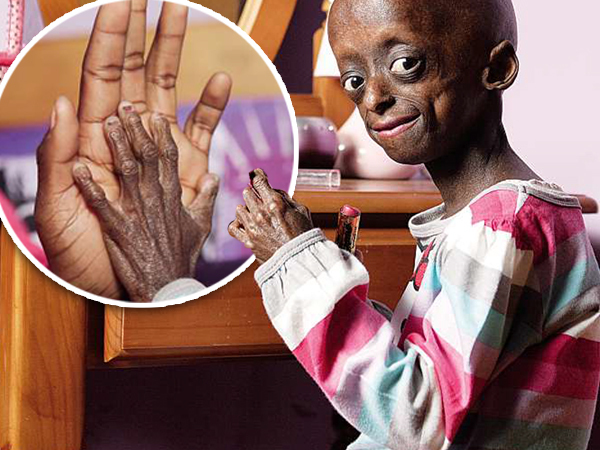 Ontlametse Phalatse, a sufferer of the rare genetic disorder Progeria, which causes premature ageing, has died. Eighteen-year-old Ontlametse Ntlami Phalatse has died. The teenager was born with Progeria, a rare genetic condition that causes rapid ageing. Her doctors had predicted that she wouldn’t make it after her 14th birthday. In a statement, the Phalatse said Ontlametse died on Tuesday night after experiencing breathing difficulties. She was rushed to Hebron Clinic and was then transferred to Dr George Mkhari Academic Hospital. The doctors did everything possible to save her. She was surrounded by her mother, brother, family members and friends. Just weeks ago, Ontlametse ticked another item off her bucket list, when she met with President Jacob Zuma – it had always been her wish to meet him. The two met at the Presidential Guesthouse, Mahlaba Ndlopfu in Pretoria two days before her 18th birthday. "Our lives were most touched by meeting Ontlametse last month. She was very special indeed. I was impressed by her sharp intellect, warm personality, brilliant ideas and her determination to use her condition to motivate others that they can achieve their goals regardless of any challenges. "A brave young fighter has fallen. May her spirit inspire all others living with disabilities or facing any difficulty, to soldier on as she did and live life to the fullest. We are really proud of her. We wish to convey our utmost condolences to her mother, her whole family and the Ontlametse Phalatse Trust for this sad loss. May her soul rest in eternal peace." The President further committed to fulfilling his undertaking to help the family with a house according to Ontlametse's wishes.